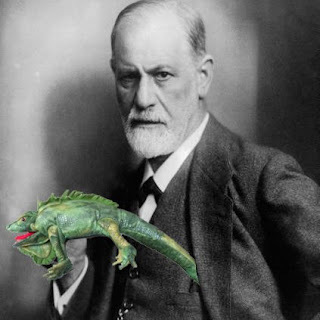 James Tinniswood: The Complete First Season's "More Iguana: Now With More Iguana"
The Complete First Season's "More Iguana: Now With More Iguana"
So a group of my funny and creative mates and I have all teamed up and formed a comedy "troupe", entitled The Complete First Season. I'm currently in the process of setting up all of the appropriate online channels (Twitter, YouTube, MySpace, Blogger/Wordpress, etc. ), but essentially, we're going to get together every few months and put on live comedy, with postings online as well. HERE'S OUR FACEBOOK PAGE - SQUEEEE!! 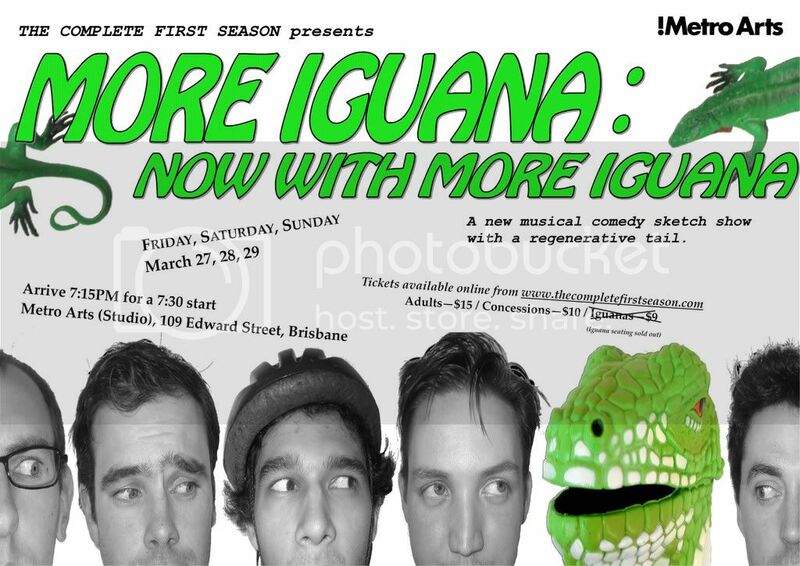 Our first show is coming up at the end of March, and it's titled More Iguana : Now With More Iguana, a musical sketch show with a recurring iguana tone. We're heavily in the writing/rewriting/rehearsals stage at the moment, so expect photos and videos and previews coming soon. March 27th, 28th, 29th in the Studio Theatre at the Metro Arts. * iguana seats have sold out, our apologies.